Meet the needs of sensitive and irritated skin with the Avène Hypersensitive Skin Regimen Kit; a collection of four essential products designed specifically to have a soothing and calming effect on intolerant skin types. Formulated with minimal ingredients for maximum tolerance, the Extremely Gentle Cleanser Lotion provides a thorough cleanse, without stripping the skin of essential moisture. Gentle enough for the delicate eye area, the formula eliminates daily dirt, oil and impurities from the complexion, as well as effectively removing all traces of makeup. Skin is cleansed without disrupting its delicate moisture balance. Meet the needs of hypersensitive skin with the Skin Recovery Cream; a soothing formula that is fortified with minimal ingredients to ensure maximum tolerance for sensitive skin. Enriched with a gentle, skin-loving blend of Plant Squaline and Glycerin, the cream delivers a veil of hydration to the face, leaving skin nourished and protected. Redness and irritation are visibly reduced. Lotion: Apply with a cotton pad or with fingertips in a gentle circular motion. Gently tissue off without rubbing. 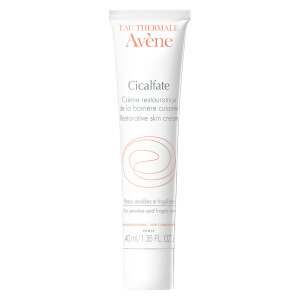 Finish the cleansing process with a mist of Avène Thermal Spring Water followed with Skin Recovery Cream. Spring Water: Hold upright. Do not shake. Spray onto the skin in a fine mist. Leave on for 2 to 3 minutes, then gently pat dry. Use as often as necessary. 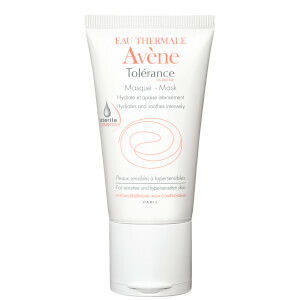 Cream: Apply to the face and neck after cleansing with Extremely Gentle Cleanser Lotion. After use and before closing, remove any excess product around the tube opening. 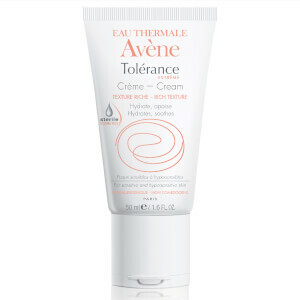 Lotion: Avène Thermal Spring Water, Cetearyl Alcohol, Serine, Cetrimonium Bromide, Coco-Glucoside, Dipotassium Phosphate, Disodium EDTA, Disodium Phosphate, O-Phenylphenol, Sodium Cetearyl Sulfate, Water. Spring Water: Avène Thermal Spring Water, Nitrogen. 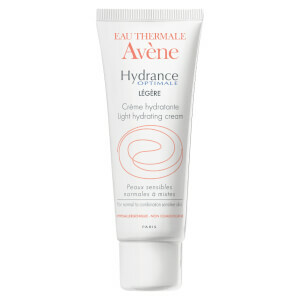 Cream: Avène Thermal Spring Water, Mineral Oil, Glycerin, Glyceryl Stearate, Squalane, Cyclopentasiloxane, Clycohexasiloxane, Serine, Carbomer, Tetrasodium Edta, Triethanolamine. Sunscreen: Active Ingredients: Titanium Dioxide (4%), Zinc Oxide (6%) Inactive Ingredients: Water, Butyloctyl Salicylate, Cetyl Dimethicone, Dimethicone, Octyldodecyl Neopentanoate, C12-15 Alkyl Benzoate, Trimethylsiloxysilicate, Styrene Acrylates Copolymer, Dimethicone/Peg-10/15 Cross Polymer, Dimethicone Peg-8 Laurate, Polymethylmethacrylate, Glycerin, Butylene Glycol, Acrylates/ C12-22 Alkylmethacrylate Copolymer, Lecithin, Trisiloxane, Oleic Acid, Xanthan Gum, Sorbitol, Tocopheryl Acetate, Disodium Edta, Phenoxyethanol, Ethylhexylglycerin, Hydroxyethyl Acrylate/Sodium Acryloyldimethyl Taurate Copolymer, Alumina, Methicone, Isostearic Acid, Polyhydroxystearic Acid, Sodium Chloride. Lotion: 1.69oz / Water: 1.76oz / Cream: 1.69oz / Sunscreen: 0.1oz.